Some early adopters of Apple Watch have reported facing battery issues on their latest wearables. Not only on the Apple Watch itself, but some have also reported facing excessive battery drain on iPhone after the smartphones are paired with the Watch. While already facing its fair share of battery issues, iPhone 6 users who are now pairing their phones with Apple Watch are left with some serious battery concerns. Here are some fixes that might help you a little. – Read of the day: Just how big is Samsung? Ready to be in for a surprise! 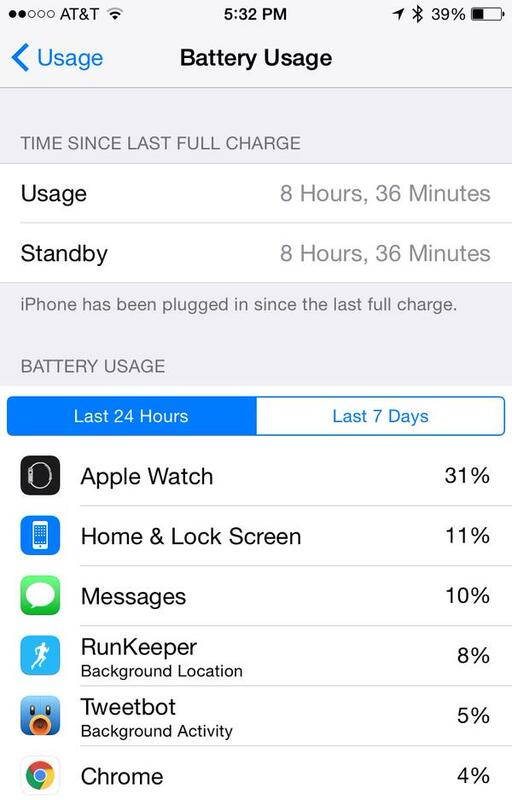 Many posts on Apple’s discussion forums indicate the number of users facing the Apple Watch battery drain issues. Apple is reportedly already aware of the issue and is trying its best to help the users. While we don’t know if we will see anything coming from the company to fix Apple Watch battery drain issues, here are a couple of things that you could try at your end to see if these issues get sorted. As we try to fix many issues on smartphones by resetting them, this is a go-to solution for Apple Watch issues too. Holding the side button, swipe to power off. Then turn it back on by holding the Crown and side button at the same time until you see the Apple logo. If you are facing software side of the Apple Watch battery issues, another quick fix is to factory reset it. Open Apple Watch app on the iPhone. Go to General > Reset and Erase All Content. Set up Watch all over again. Let us know if any of these two solutions helped you to fix Apple Watch battery drain problems. If you have found another fix, don’t forget to let us and the readers know. If nothing helps, it’s time to check with the Apple Care customer service representatives who are being trained for fixing these issues.